The Pennsylvania State Resource Family Association training is set for Saturday April 13, 2019 at Crowne Plaza Hotel & Suites, 164 Fort Couch Road, Pittsburgh South, Pittsburgh, PA. The training includes 6 hours of training, lunch, and networking with other resource families. We will have child care available. Raising foster children and pursuing adoption is hardly a game, but the children and the system are filled with surprises. This institute will use game show formats to guide parents through the tough issues faced with raising foster children and the adoption process. And, yes folks, we will play the games, and there will be prizes! Presentation will focus on an internet resource called myStrength (available as a phone app as well) that provides resources for one’s own mental health. The myStrength app will be featured and the audience will be given instructions and access to a multitude of tools to improve one’s well-being. Support ranges from parenting to MH resources as well as coping skills such as mindfulness and wellness. The app is FREE and will be available for all participants. Neurofeedback and Trauma – Change your brain and change your life. When an attachment breakdown occurs between a child and her or his primary caregiver, a host of complicated symptoms can set in: severe emotional dysregulation, chronic dissociation, self-destructive behaviors, social isolation, rage, and fear. Until now, few reliable therapies existed to combat developmental trauma. But we now know that by focusing on a client’s brain-wave patterns and “training” them to operate at different frequencies, the rhythms of the brain, body, and mind are normalized, attention stabilizes, fear subsides, and, with persistent, dedicated training, regulation sets in. Some fundamental theory will be covered in this the training along with a look at the mind and brain in developmental trauma, what a “trauma identity” looks like, and how neurofeedback can be used to retrain the brain, thereby fostering a healthier, more stable state of mind. The View – An open and honest discussion regarding being a Resources Parent. The first half of the workshop will explore the reasons why you became an adoptive, foster, Permanent Legal Custodianship (PLC) or kinship parent. We will discuss expectations vs reality. We will look at what is or were the greatest help to your family and what is or what the greatest challenges were. The second half of the workshop we will discuss “Where Do We Go from Here”. We will discuss the importance of self-care and support. We will look at how to overcome some of the challenges through the use of State resources. 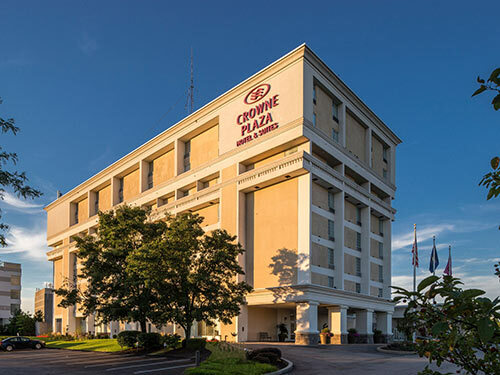 The Crowne Plaza Suites is offering a discounted price at $109.00 plus tax for anyone interested. Please make sure to mention PSRFA for the discount.